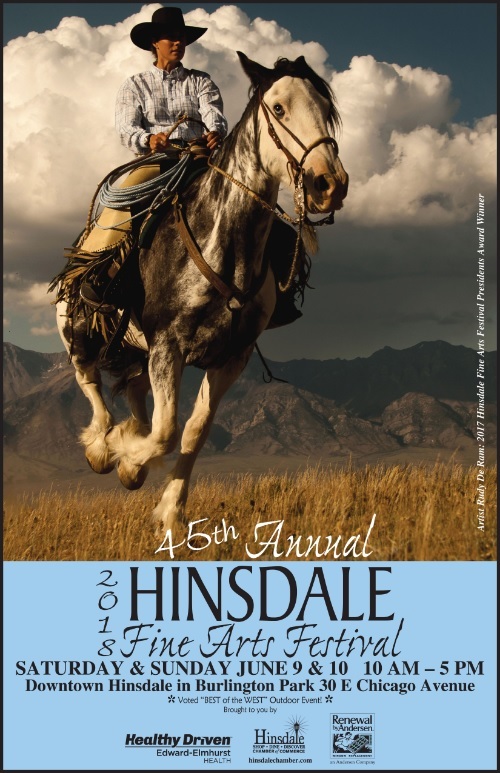 Located in the heart of historic downtown Hinsdale, the Hinsdale Fine Arts Festival is a cherished tradition, celebrating its 45th year. The festival runs on Saturday and Sunday, June 9 – 10, 2018 from 10am – 5pm both days. The show hosts over 125 juried artists throughout the shady trees of Burlington Park. With the Burlington Northern Santa Fe (BNSF) rail lines nearby, as well as Hinsdale’s upscale shopping district just south of the park, the show is easily accessible to all. 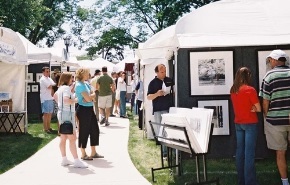 Heralded as one of the top shows in western suburbs of Chicago, the Hinsdale Fine Arts Festival has received West Suburban Living’s “Best Summer Art Show” for 2012, 2014 and 2015. Burlington Park is located at 30 E. Chicago Ave. in Hinsdale, IL with the festival between Garfield and Washington Streets in the park north of tracks.